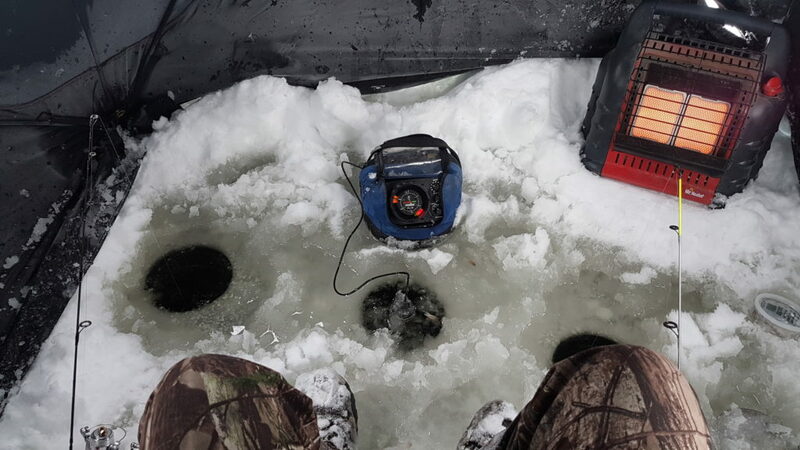 This week, Garry and I went ice fishing. 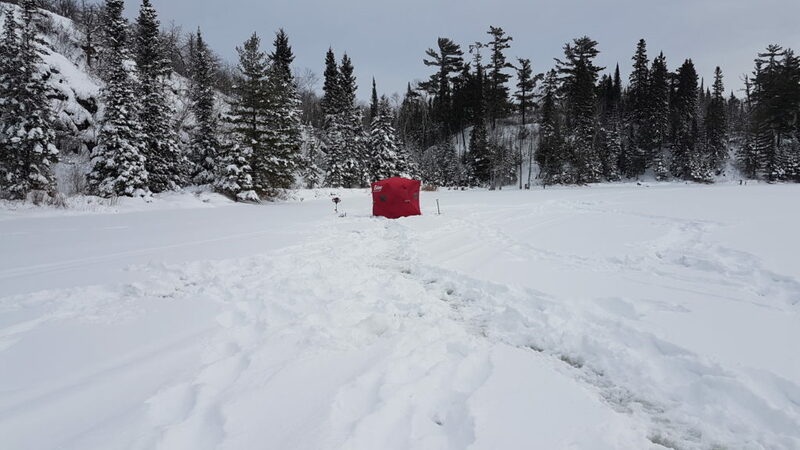 Not a remarkable statement on the surface, however it may surprise you to know that up until now, ice fishing is something that I haven’t done. I don’t mind admitting that it’s not due to lack of opportunity but simply a small fear of being on the ice. The idea of being out over top of the water with nothing underneath me but a sheet of ice makes me uncomfortable, despite knowing in my head that it’s incredibly strong and safe at a certain thickness. Fears aren’t normally rational. This winter is the one in which I tackle and overcome that uncomfortable feeling, it’s also the first year that I’ve wanted to go and specifically target rainbow trout, so I figured why not work on killing two birds with one stone. We decided to make the hour and a half drive to Lyons Lake and spend the day there. 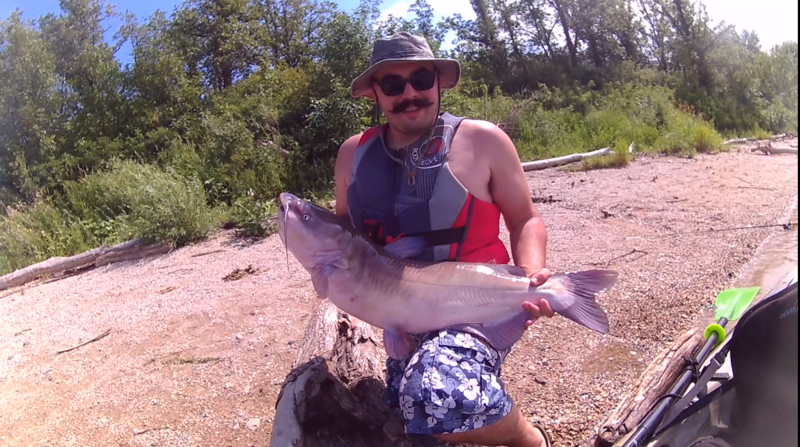 I had gotten reports from people I know that the bite was good, and got some tips on what types of bait to use and how to present it. I dug the quad out of the backyard, loaded it up along with all the gear I borrowed from the old man, and headed out early in the morning to meet up with Garry. It ended up being quite the day. The lake was freshly snowed in, and everything was quiet and peaceful. We were the only ones there and so had the whole lake to ourselves which is always a bonus. 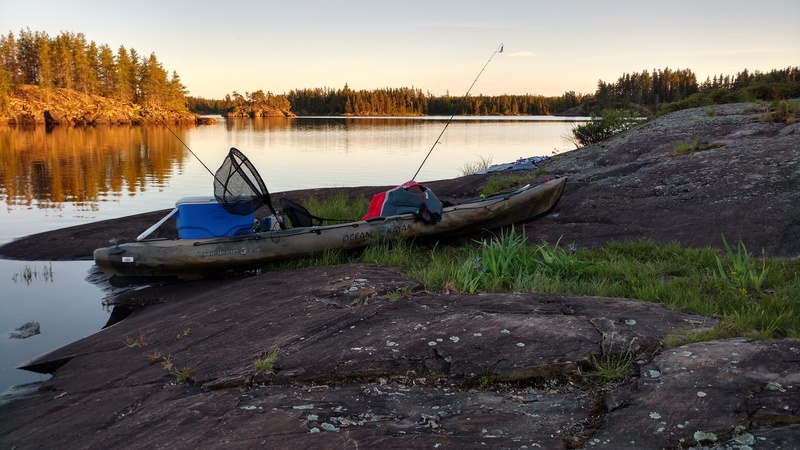 Based on tips I had gotten and a bit of familiarity with the area from kayaking on it in the summer, we decided to fish on the shore opposite the parking lot and launch area. We tied a sled to the quad to pull our gear, and started across. It was about halfway across the lake that we hit the slush, and I felt that my fear was completely justified. The tires started kicking up water, the quad sank down a good 6 inches and got stuck, and I thought “this is how I die”. It turned out of course, that the slush was sitting on top of solid ice, and was just insulated underneath all the snow, but that sure didn’t make me feel much better. 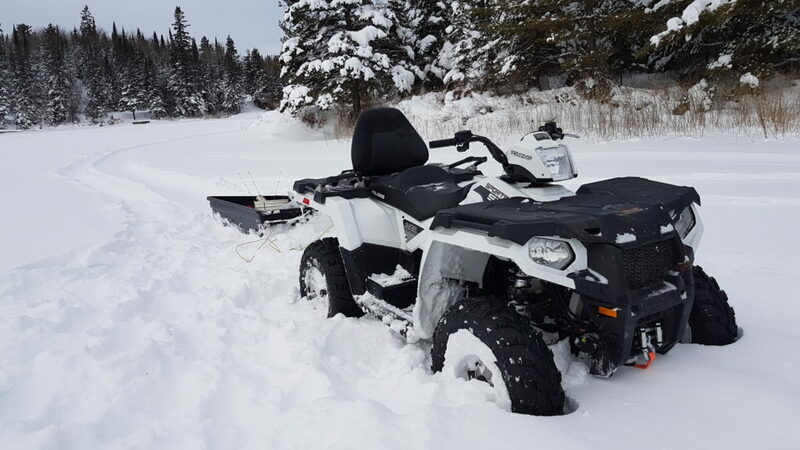 We dug the quad out, backed it out of the slush area, and headed around the long way to the other side by staying somewhat closer to the shoreline and just following it around. We managed to avoid most of the slush this way, and only got stuck a few times in the snow before we got to the spot we wanted to fish. I felt much better when we drilled the first hole and found the ice to be a good solid 16-18 inches thick underneath the snow. It didn’t take us long to find the right depth and set up our shelters and heaters. Boy did we need those heaters, it was a bone numbing -34 degrees out with the windchill, but inside the tents out of the wind and with the heaters running it was quite comfortable. 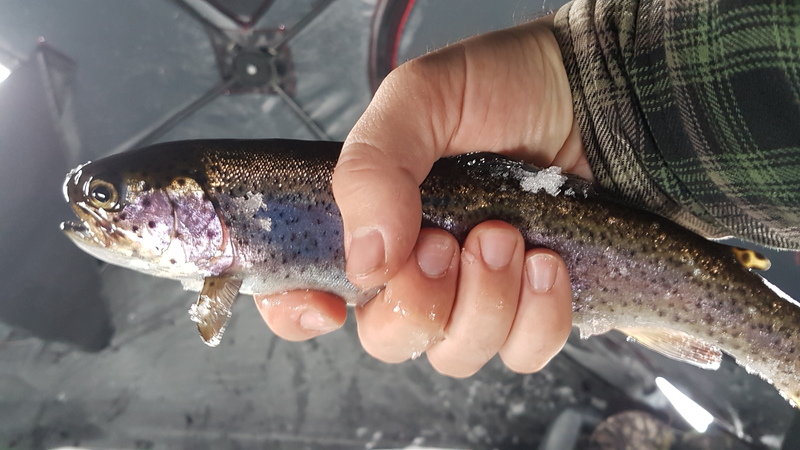 It didn’t take long for the bite to start (for me at least) and I very quickly forgot all about any discomfort about being on the ice as my rod started twitching. I very happily reeled in my first ever rainbow trout, and didn’t even mind that it was only about 4 inches long! The action kept up for a good chunk of the day, for me at least. Garry and his friend were sitting not 15 feet away from me and catching nothing. Location really is everything. 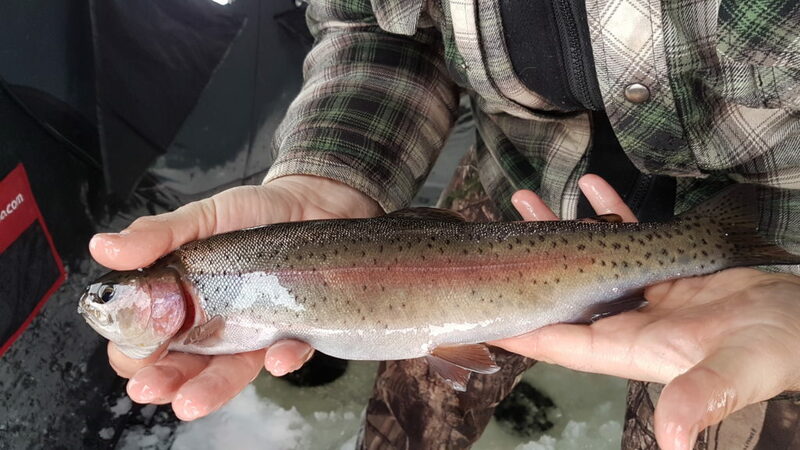 I pulled in more than a dozen trout over 3 or 4 hours, and the action on the rod didn’t let up. Every time I dropped my jig into the hole it started getting chewed on and knocked around, although it took awhile for something to finally grab on enough to hook it. I managed a couple of good keeper sized ones as well, and just overall enjoyed the action and the beautiful coloring on these babies. As the end of the day came near, we noticed something odd.. the water level had risen above the top of the holes by a fair bit. It had been doing it all day, but at such a gradual rate that we didn’t pay all that much attention to it. 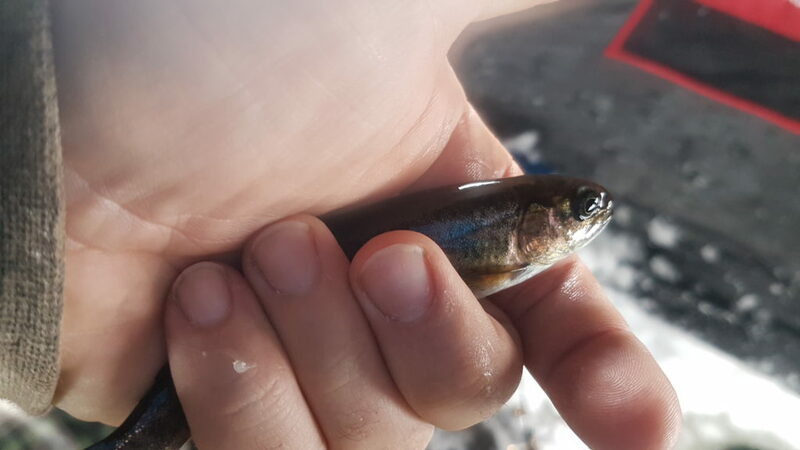 When the last couple of trout that I caught came up and swam around the tent and around my feet though, it finally clicked in, we were sinking. 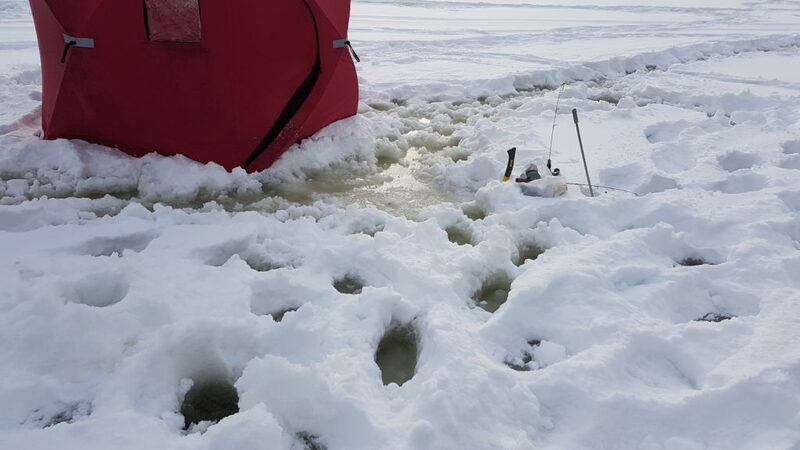 The enormous weight of the snow, slush, and of course the ice itself exerts a lot of pressure on the water below it, and when a bunch of holes are drilled through the ice the water gets pushed up through it and spreads out underneath the snow. This of course adds more weight on top, and as more water is pushed up the ice is pushed down further and faster. The end result being that what started as a normal bit of water around the holes gradually spread out unnoticed by us for the most part and caused the area we were in to start sinking. Fun stuff. Obviously, we packed it all up and headed back to the quad. We found that a large area of about 65 yards in all directions now had about 6 inches of water and slush underneath the snow. Our boots were quickly soaked through and my pants soaked up the water up to about my knees and then promptly froze solid outside the warmth of the tent. I should also mention that in an attempt to dry my gloves off quickly on the heater, that I had instead set them on fire, and so now had only partial gloves that didn’t help much with the cold. We got the quad out of the snow and made for the parking lot. We stopped right by the dock to drill a couple holes and fish for a few minutes before we headed out for the day. We didn’t get any bites, the wind was brutal, and our propane ran out so we decided that was it. I hopped back on the quad, turned the key, and… nothing, no matter what we tried, it would not start. We spent the next hour and a half or so pushing the quad off the ice and up the hill towards the parking lot. Luckily I had some rope that reached most of the way up the hill to my truck and we were able to tow it up and get it loaded without too much trouble. By this point it was getting late, we were freezing cold, and about sick of this particular lake. The various mishaps aside, catching all those beautiful rainbows was a lot of fun. 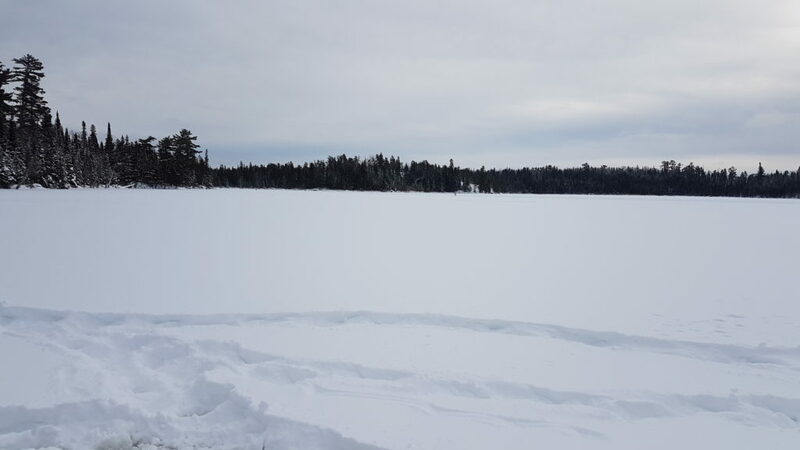 I didn’t like the sinking ice and likely won’t be back to that lake anytime soon, or at least that part of the lake, but the ice was thick enough and solid enough that even with the sinking I never felt unsafe or like I was going to fall through, so my comfort level still went up overall. By far the biggest disappointment was in the failure of the quad, that thing is brand new and shouldn’t be having any issues. As of writing, I am still waiting to hear from the shop as to what the problem is. All in all, a good little initiation into the fun and the frustrations of this winter sport.